What do you get when you mix together spent barley grain, ground beef mix, and some imperfect produce? Students from Onondaga-Cortland-Madison Board of Cooperative Educational Services (OCM BOCES) New Vision Environmental Science class recently developed a recipe for a premium dog food that included these essential ingredients. 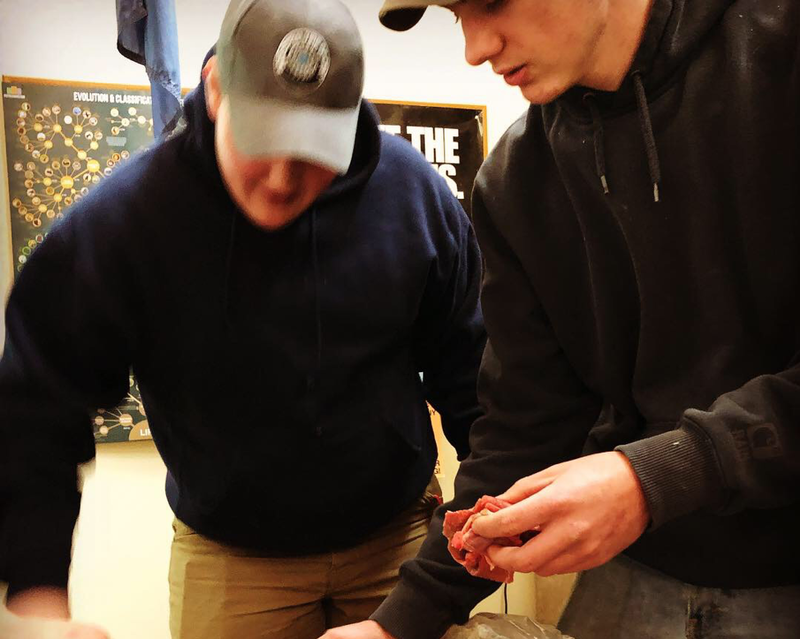 With a few additional ingredients and some creative marketing, the group walked away with a first-place prize in the high school division of the second annual Top Cut Beef Contest, which included over 50 entries from throughout the state. The Top Cut Beef Contest is sponsored by the New York Agriculture in the Classroom and the New York State Beef Council. The contest allowed for middle and high school students to be exposed to beef production and nutrition up close. Students participating in the project created a variety of foods, including tacos, burgers, sandwiches, and beef jerky. With the competition, 22 students from the OCM BOCES New Vision Environmental Science class let their creativity shine. Under the guidance of their instructor Chad DeVoe, the class put a unique twist on the competition by creating a premium dog food – something new to the competition, which typically features human food. Students partnered with four industry partners in the region to develop their product and keep it local and cost-friendly, while practicing environmental stewardship. For the essential beef portion of the recipe, the class worked closely with Tony Cincotta at CP Cash and Carry in Cortland. For the spent grain, the class partnered with Hopshire Farm Brewery in Dryden. Students acquired blemished produce at a discount from Main Street Farms in Cortland. 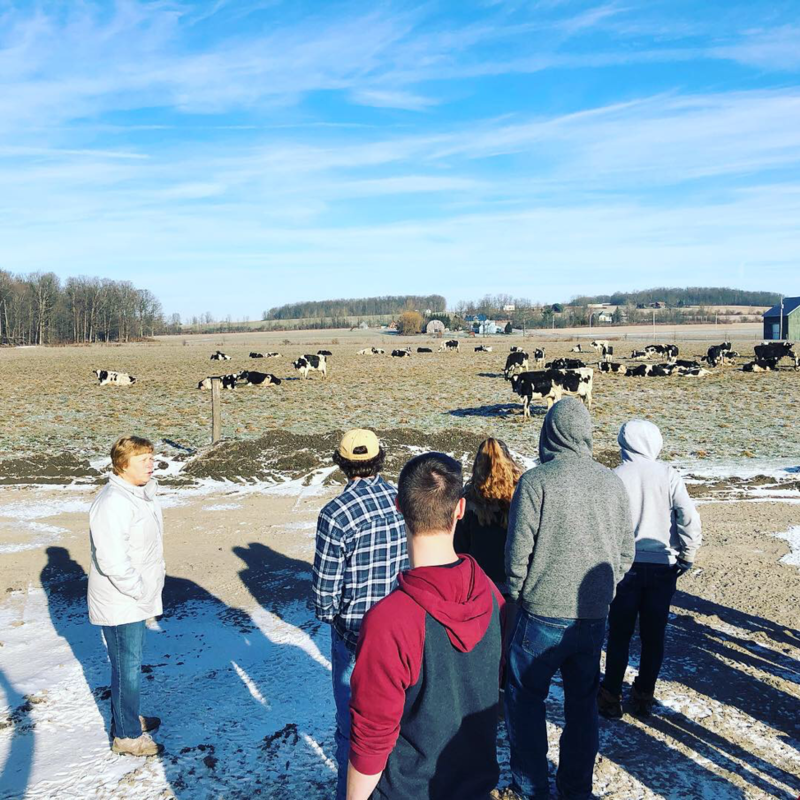 To learn more about the process of raising cows and to see a farm store, students toured Jerry Dell Farm in Freeville to prepare for their project. The partnerships served to expose students to careers in the beef industry, while also teaching them more about safe food handling practices. With these ingredients in hand, students got to work to create a recipe for their product that would not only be well received by their canine friends, but also contain the nutrients needed for a dog’s overall health. In order to ensure the product quality, students tested the product on a group of 18 dogs, ranging in size from chihuahua to Great Dane. The class had a total of two trial runs for their recipe. 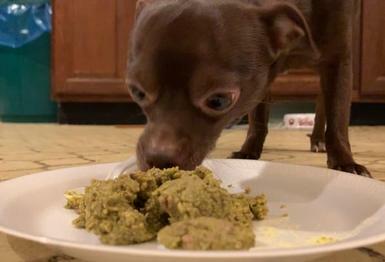 For the first trial, nine of the 18 dogs liked the recipe. After a few recipe improvements, the class held their second trial. All but one dog liked the improved recipe, making the new recipe a success. Once the recipe had been perfected, students got to work on the product branding. As a tribute to the various sources for their ingredients, the students voted to name their product “Mutt Mash.” The class worked together to create a logo and packaging label to go along with the name, as well as the slogan of “We shih tzu not, it’s that good!” The class conducted extensive market analysis, developed a marketing plan, and conducted a beef nutrition analysis. The class found that with their innovative use of “scrap” materials, they were able to maintain an excellent profit margin, while keeping the product affordable. The project was deemed a success not only with their first place prize, but also in how much the students enjoyed the project and learned about the work involved in the product development process. Cortland Enlarged City School District student Christopher Allen echoed this sentiment. Each entry into the competition was scored based on product, market analysis, marketing plan, and beef nutrition analysis. The hard work and innovation of the OCM BOCES New Vision Environmental Science class paid off, as the class was awarded with first place in the high school division among entries from across the state. The reward for first place included $250 and a grill for their classroom from the New York Beef Council. Congratulations to our students on this impressive accomplishment! Mark Bush and Dylan Fredenburg from Fabius-Pompey CSD make "Mutt Mash"